We have studied different Energy solutions for different contexts, and among them we have studied a promising application of Integrated Energy Systems into Airport (both Land side and Air side). Our solutions are designed to ensure significant savings on operating costs through plant improvements financed with formulas particularly advantageous. Business Improvement designs, manufactures and supports its customers from the initial energy diagnosis to roll up and maintenance taking care of all the administrative practices and financing incentives. In this context, it has been necessary to ensure full compliancy with the Policy, the provisions Circular and Civil Aviation Authority , which otherwise highlight the increasingly urgent need to reduce the costs related to the supply of electricity and diversify energy sources focusing on renewable sources to reduced environmental impact of Airport facilities. 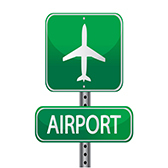 GREEN AIRPORT application requires the study of the site in order to identify technology with the best cost / effectiveness for the reduction of energy costs, taking into account the context and of the applicable Sector rules.